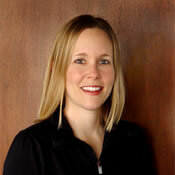 We wanted to let you know that our Registered Dietitian, Becky Hand, will be parting ways with SparkPeople. After so many years helping people through her Message Board post responses, articles and blogs, we thought it important to let you know that she is leaving SparkPeople. More importantly, we wanted to publicly thank her for her many years giving advice to our members. Becky has been with SparkPeople almost since the beginning, so the number of members she's helped is immeasurable. Rest assured, you'll still receive high-quality content and information from our wide variety of experts, which continues to grow. Becky helped set the foundation for the nutritional recommendations on our site, and those will remain the same—all based on well-researched, scientifically verified studies. Thank you, Becky, and best wishes in your future endeavors! Want to send your well-wishes to Becky? Share them in the comments below. Thank you so much Becky. You have helped so many of us and best wishes in your new endeavors!!!!!!!!! Thank you for sharing your wealth of wisdom with us. Thanks Becky for all your help over the years!